MANILA, Philippines – A system that will predict storm surge impacts and better prepare coastal communities for them should be ready by December 2014 or earlier. This was the assurance given by Mahar Lagmay, executive director of Project NOAH (Nationwide Operational Assessment of Hazards), in a November 26 talk during Climate Change Consciousness Week. The Coastal Hazards and Storm Surge Assessment and Mitigation (CHASSAM) is a major component of Project NOAH, one specifically ordered by President Benigno Aquino III earlier this year. “No less than the President ordered that early this year. He said, ‘I want the [monitoring system on] storm surges because Pedring happened,'” Lagmay told reporters. 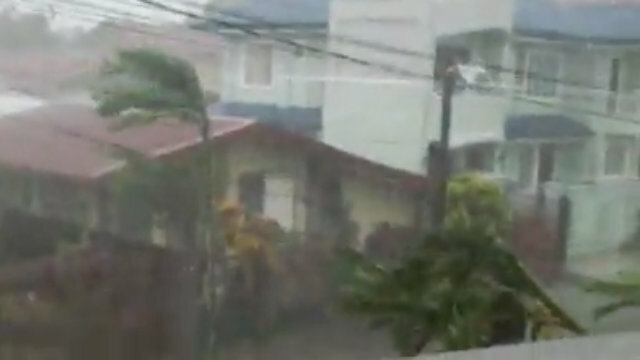 Pedring devastated northern and central Luzon in September 2011. Project NOAH is the government agency tasked with preventing and mitigating disasters through the use of science and technology. Under the Department of Science and Technology (DOST), it works hand-in-hand with state weather bureau PAGASA in forecasting potentially calamitous events like flooding, landslides, sea level rise and more. But when Yolanda hit Eastern Visayas on November 8, the CHASSAM project was only two months old. All it could produce was a prediction of how high the storm surges would be and which localities would be affected. Used to make high-resolution maps, LIDAR technology beams laser upon an object and analyzes the reflected light in order to measure how far the object is. With this technology, “we can do enhanced hazard mapping which entails local community scale maps. So when people look at the maps, they can see where their house is, where the bridges are,” Lagmay said. “It will show them features in their community familiar to them so they can relate to the problem,” he added. When locals can visualize exactly how the storm surge will hit them, they will gain a better understanding of the urgency of their situation and the need for action. But more than a warning system, CHASSAM will also provide life-saving solutions. By showing areas the storm surge won’t reach, CHASSAM simulations will identify places where it is safe for communities to evacuate to. The simulation was “very accurate,” according to Lagmay, and matched the post-Yolanda photos of Tacloban’s coastlines. If we had the maps ready before Yolanda, the damage and loss of life could have been prevented or at least lessened, lamented Lagmay. This article was originally published in Rappler.com on November 27, 2013.